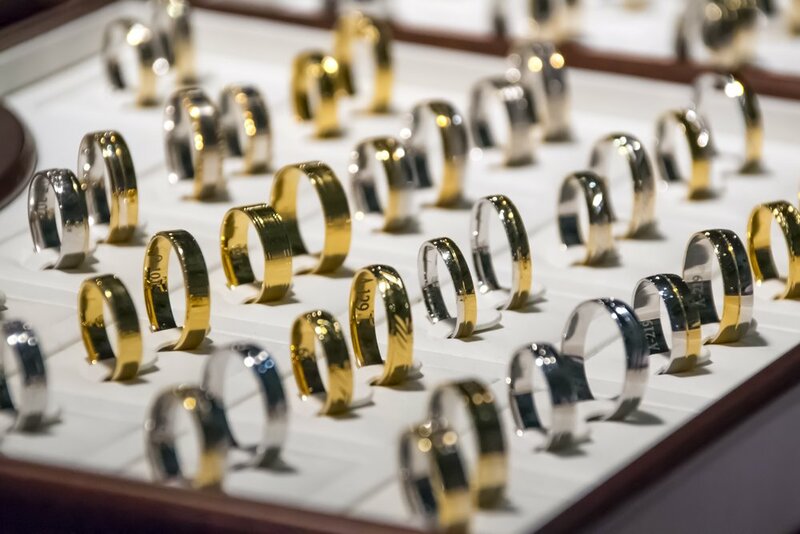 Chances are that if you’ve been reading through our tutorials then you’re a man looking to buy an engagement ring (although we love it when the ladies buy the ring!) Hopefully, your significant other will say yes and you’ll be swept up in everlasting bliss… Then you’ll need to get a ring for yourself! Most men’s rings are relatively simple bands, but you can opt in for more intricate designs with Channel, Bar or Flush set diamonds. While a traditional Yellow Gold or Titanium band works perfectly fine, you can go for something a bit more off center as well. An advantage to men’s bands is they can be rather cheap. So if price is an issue, or you work in an industry where there is a high chance that you’ll either lose it or get it damaged, then look at our list below for a band that might be right for you. Modern men’s bands can be made out of Gold, Platinum, Palladium, Titanium, Tungsten, Black Ceramic, Stainless Steel, Serinium, Silver or Cobalt Chrome. Basically any material you can imagine can be made into a wedding band. All these individual metals offer different attributes, ranging from light weight to scratch resistance. 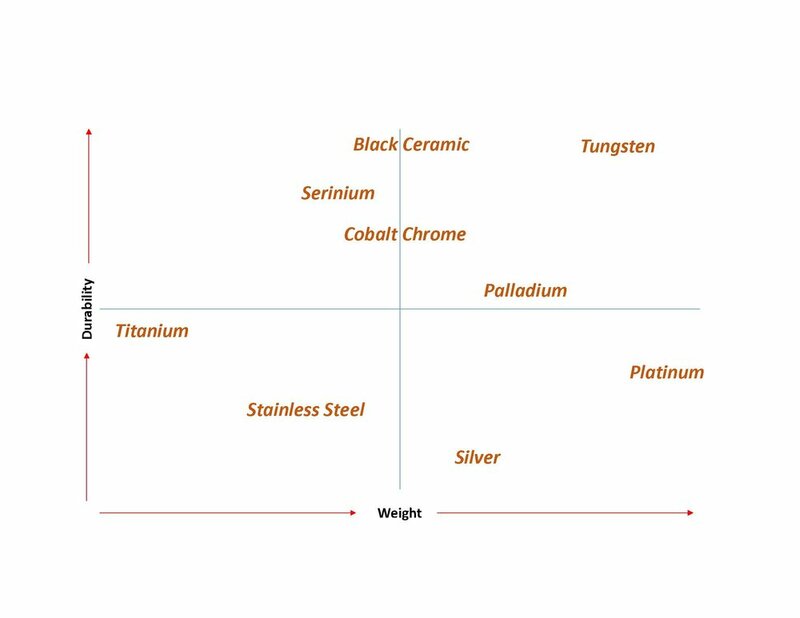 Look at the chart below as we detail the pros & cons of each metal and some of our favorite sellers.